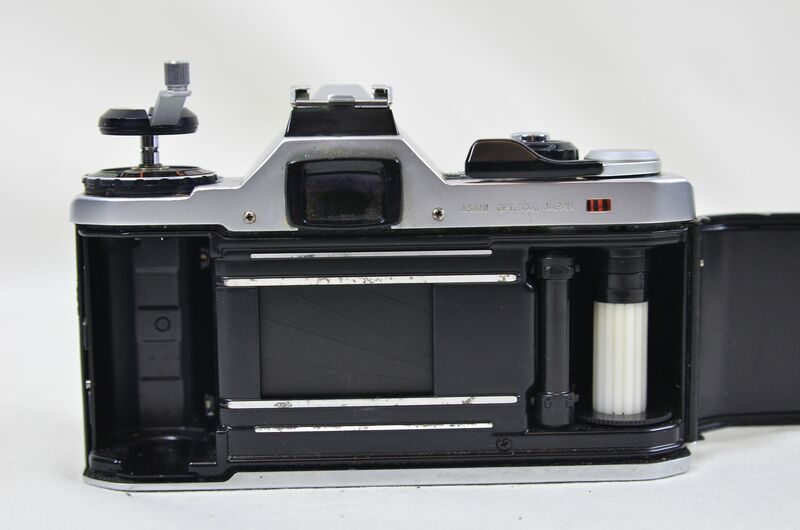 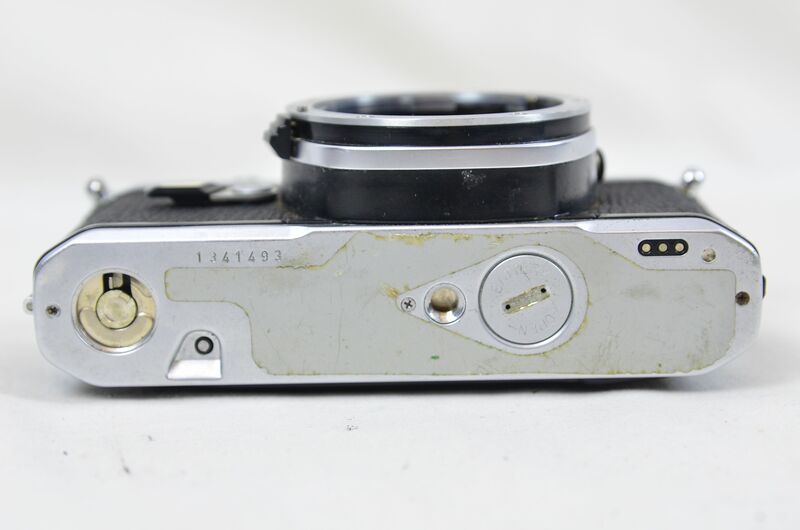 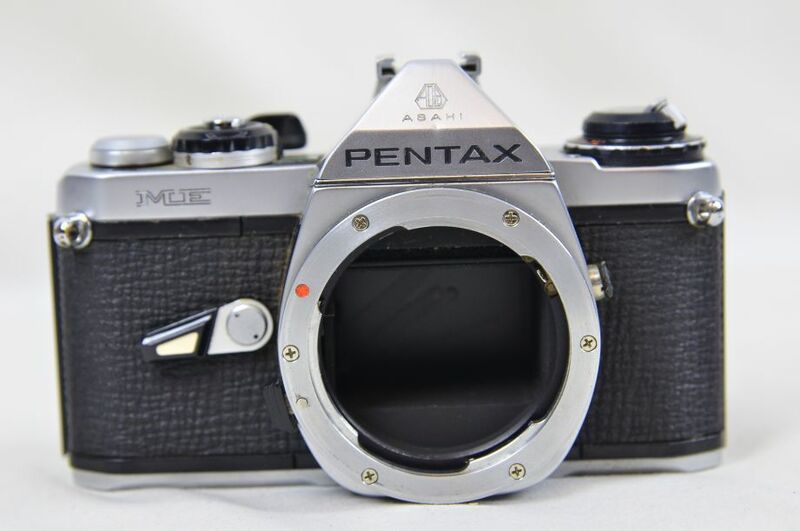 Pentax ME body is untested. 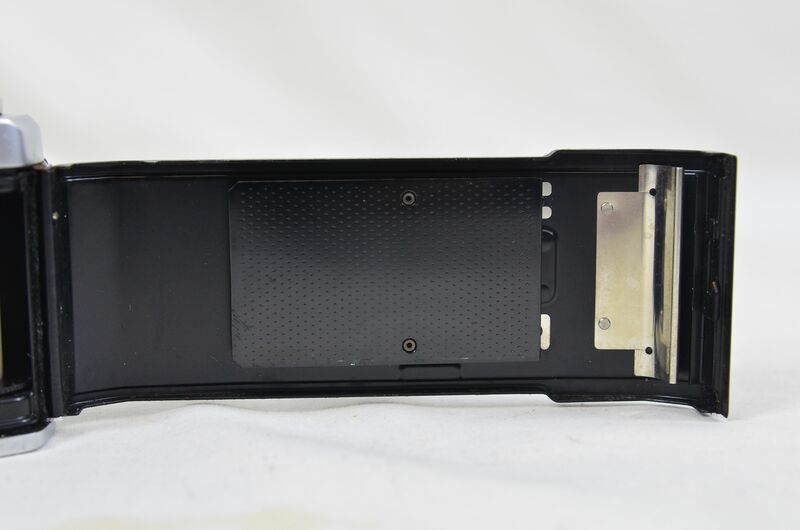 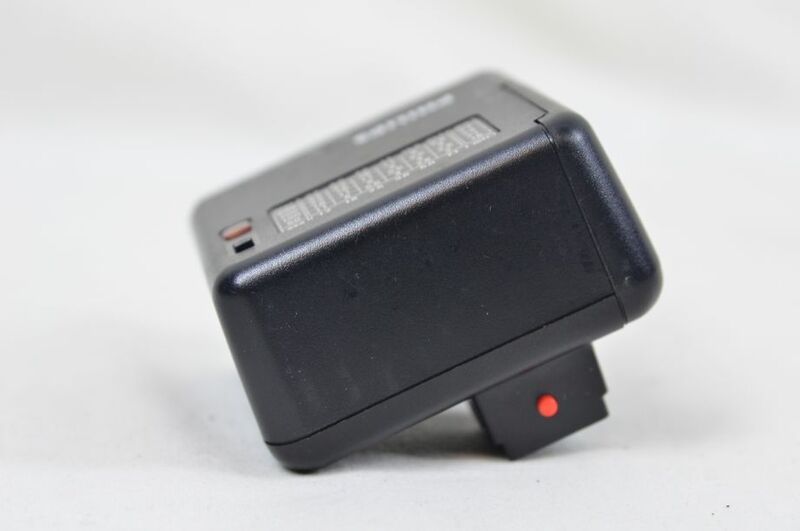 Battery cover screw thread damaged thus unable to remove to replace batteries. 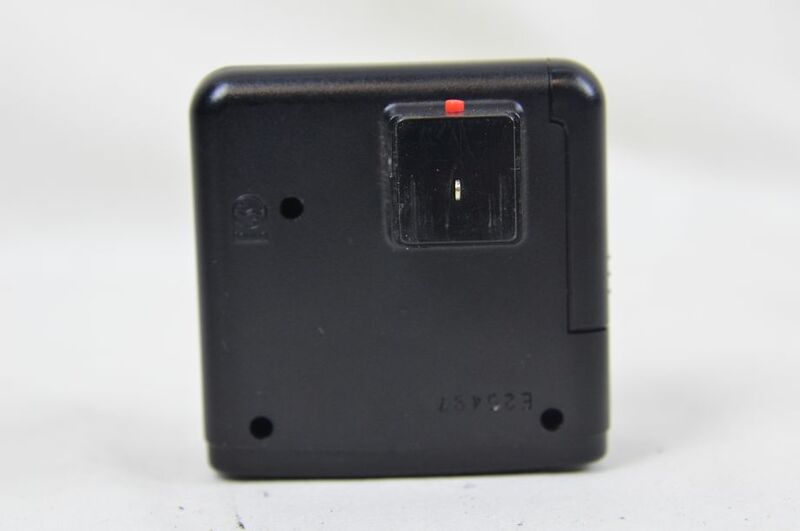 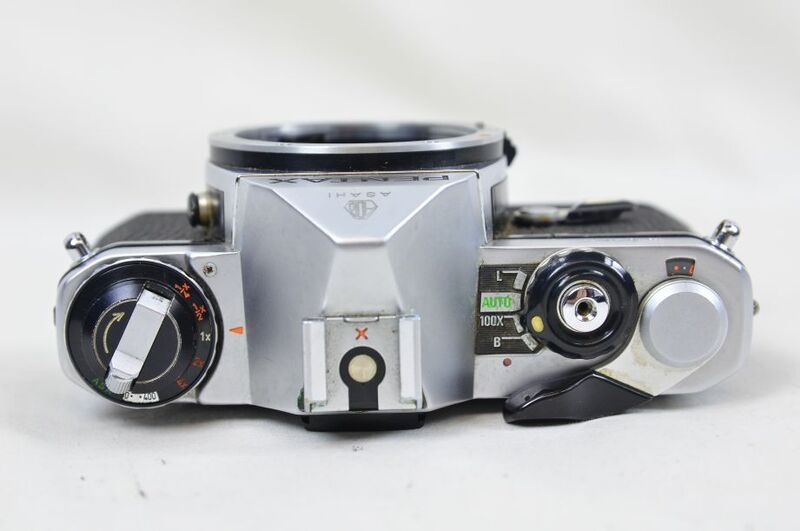 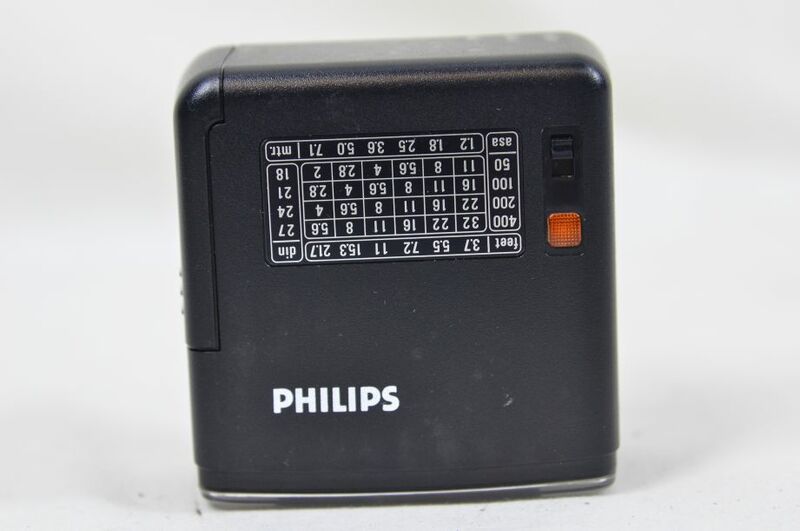 Camera requires two LR44 silver cell batteries. 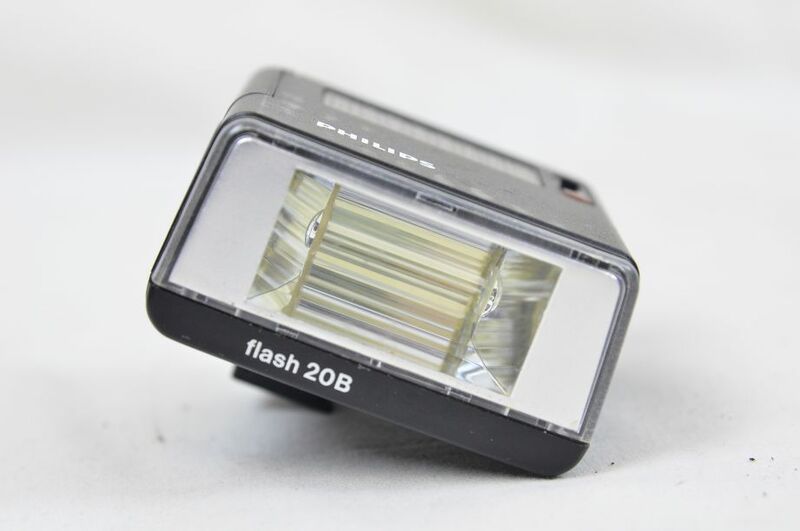 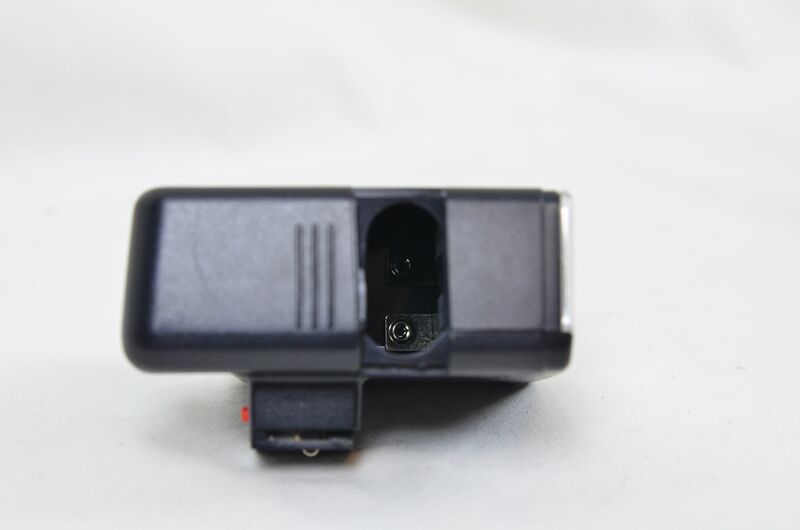 Philips 20B flash battery contacts are clean and flash cycles and fires. Requires two AA batteries. 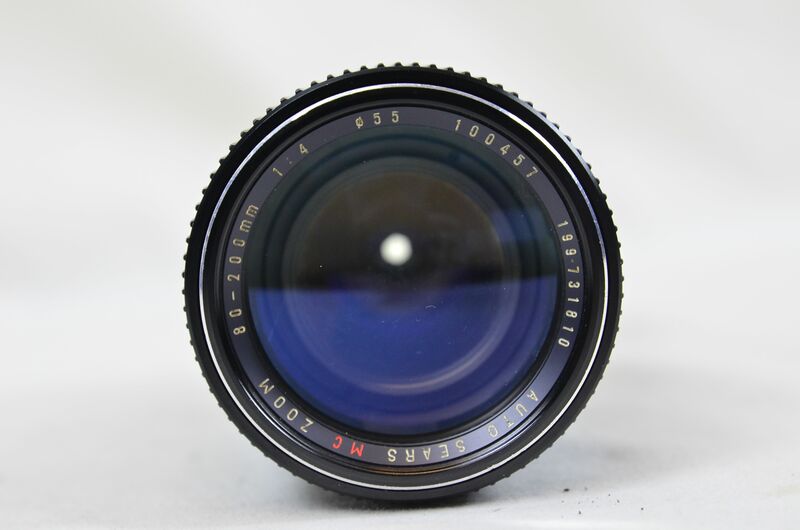 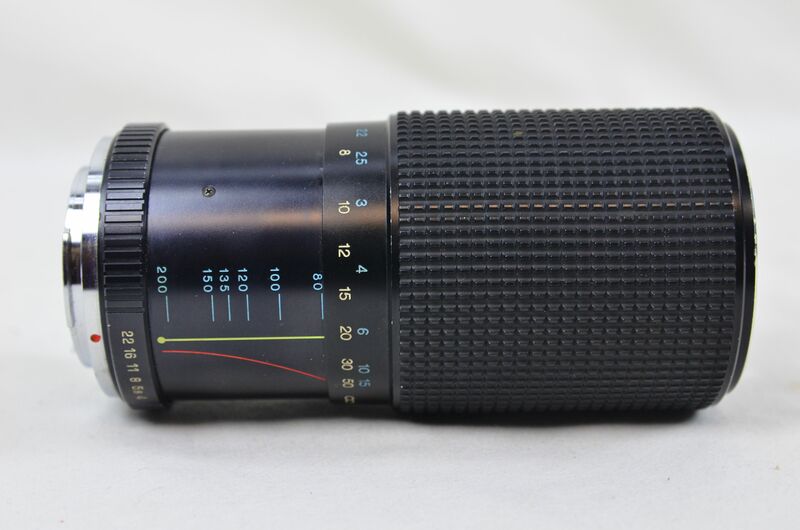 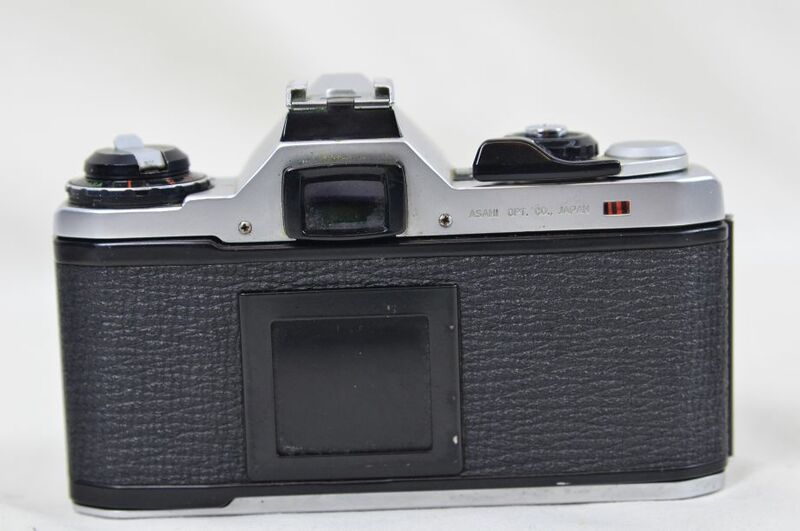 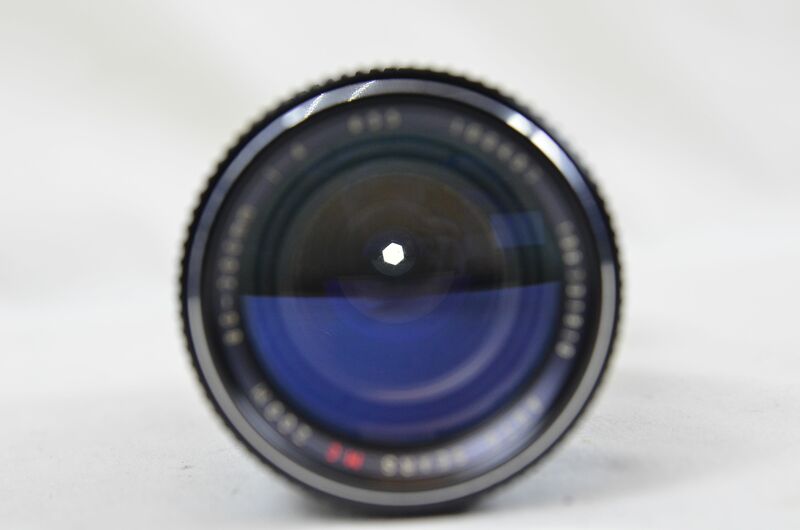 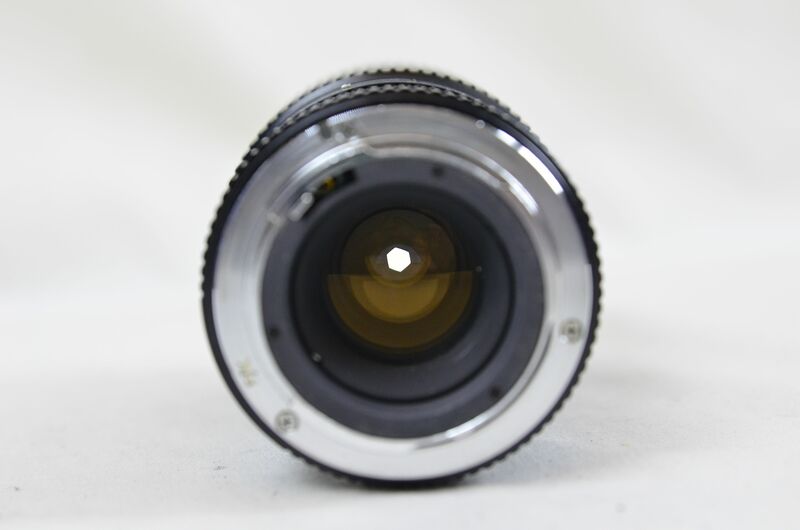 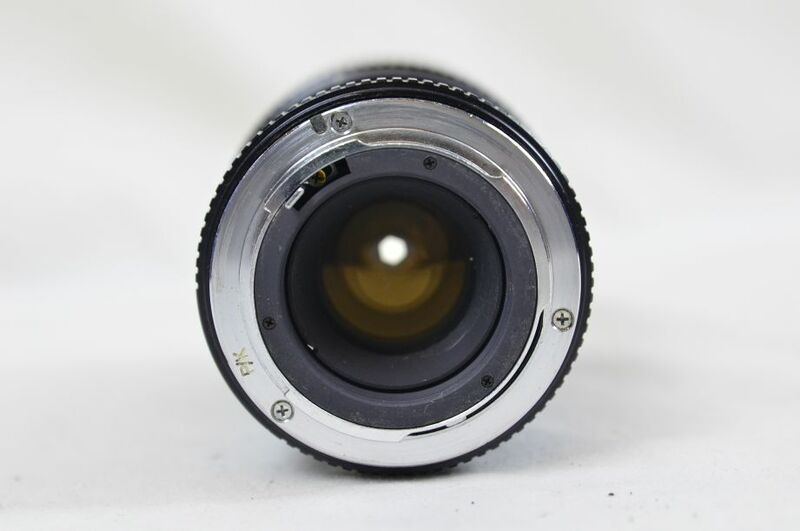 Sears lens zoom ring has loose, tight spots, focusing ring is smooth, aperture blades have no oil or wear marks, aperture selector is crisp and the optics are in good condition. 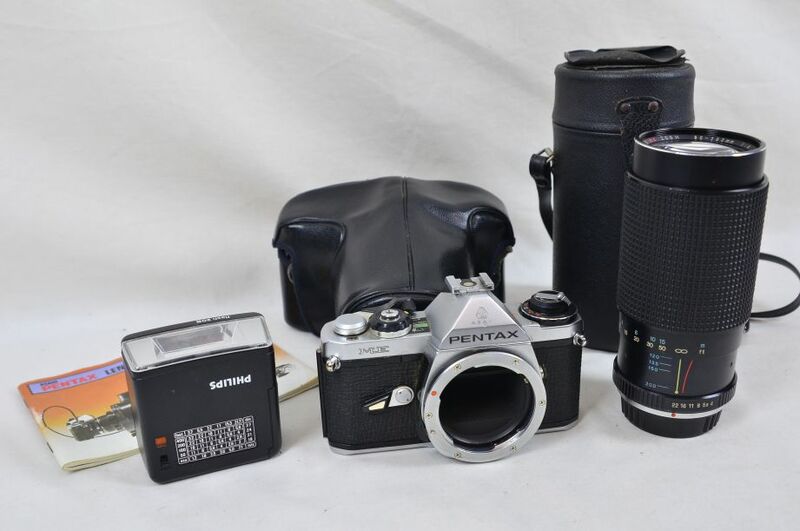 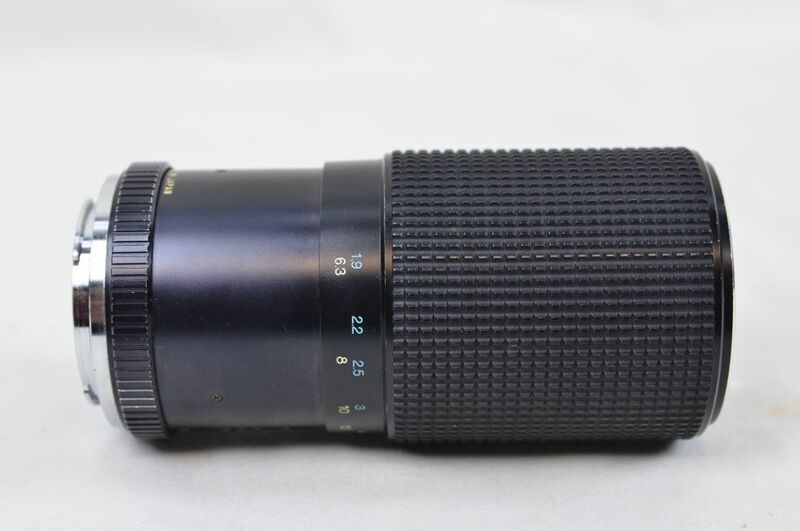 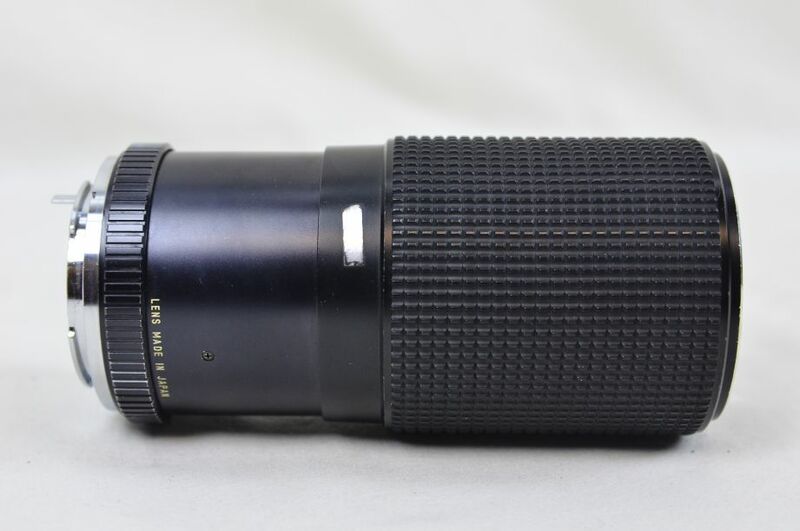 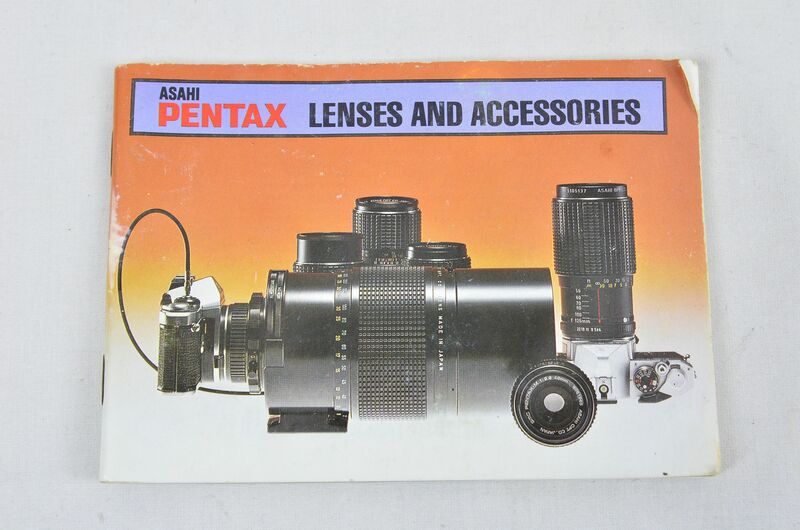 Pentax ever-ready case and hard telephoto lens case included.